Hearing loss can affect your quality of life, relationships, and even your self-esteem. 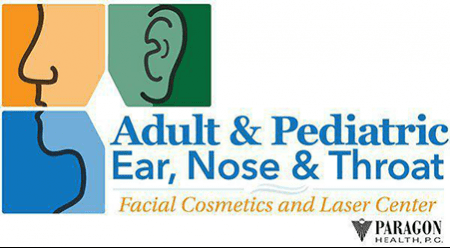 At Adult & Pediatric Ear, Nose & Throat in Kalamazoo, Michigan, the audiology experts treat a wide range of hearing-related conditions to accommodate your needs. Whether you need a hearing aid, an assistive listening device, or custom earplugs, you’ll find the support you need from a team that cares. Several factors can cause hearing loss, whether it’s temporary or permanent. Hearing diminishes with age, and this type of hearing loss is called presbycusis. Hearing loss can also develop with the use of certain medications, trauma or injury to the ear or head, or consistent exposure to loud noise. Hearing loss can happen quickly or gradually. You might notice that you suddenly have a hard time following conversations or that you need to turn up the volume on the television or radio. It’s also common for patients with hearing loss to have difficulty hearing in noisy places like restaurants or shopping malls. Genes can also play a role in hearing loss, as well as specific diseases like autoimmune conditions, mumps, or Meniere’s disease. In some cases, hearing loss is also caused by a tumor on the acoustic nerve. Which Hearing Aid Services are Offered at Adult & Pediatric Ear, Nose & Throat? At Adult & Pediatric Ear, Nose & Throat, a specialized team of physicians offers a wide range of audiology services for hearing loss. You’ll first receive a comprehensive hearing evaluation to determine the nature and severity of your hearing loss. Your physician works one-on-one with you to help you achieve the best possible results with the least invasive methods. While hearing loss can be permanent, it’s possible to slow the progression of further hearing loss with the right treatment. In some cases, you might need to try different hearing aid options before you’re satisfied with the comfort and quality of your devices. With hearing aids, you’ll need to clean them regularly and maintain a schedule of hearing checkups to ensure that your devices are working properly. With the right hearing aids, you can expect to live a normal, healthy life and never miss another important conversation. To learn more about the audiology services at Adult & Pediatric Ear, Nose & Throat, book an appointment online today.